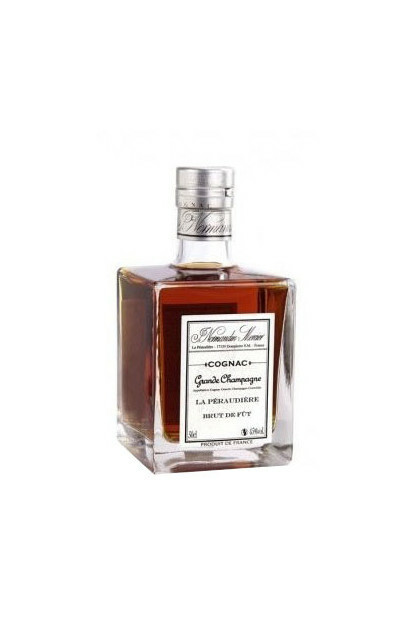 This Cognac is from a single year (1992) and a single Cru: Grande Champagne de Cognac, classified Premier cru from the Cognac region. This Cognac aged in barrels made of hundred-year-old oaks from the La Péraudière estate, selected for the exceptional finesse of their grain. This 1992 Cognac is available in limited quantity: 1000 bottles only. The colour is a dark bright bronze. To the nose: the spirit is remarkably well distilled and white flowers stand out as a first attack to the nose. Then come aromas of dried herbs like sainfoin followed by light touches of musk, underwood, leather and chocolate/cocoa. To the palate: we find the same gustative sensations as the nose. Would fit very well with a chocolate dessert, an Arabica coffee, and with a cigar of your choice.